Azimut Yachts, a global leading yachts manufacturer, achieved an excellent year as Azimut Benetti Group closed the accounting period with value of production at €850 million ($986 million),marking an 18 per cent rise on the previous year. The company also reported an adjusted EBITDA of €50 million. Volumes are also up and stand at 261 new units. The strengthening of the Azimut Benetti Group's position in this segment, confirmed by its placing at the top of the Global Order Book ranking announced last December for the 18th year running, is attributable to the commercial success of the Azimut Grande range, and the 35 and 27-meter models in particular, with 10 and 21 units sold respectively since their market debut, and of the Benetti range. 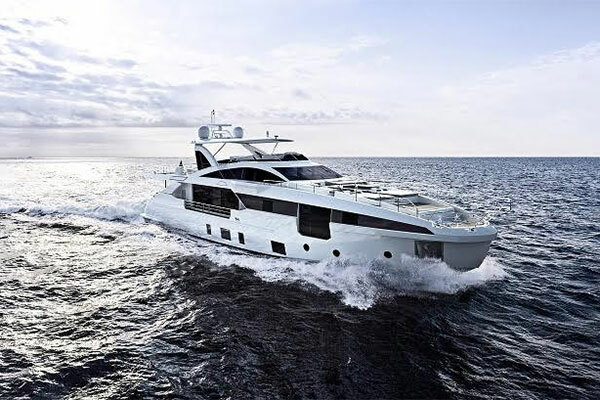 The main markets for Azimut are the Americas, which account for 38 per cent of sales, followed by Europe with 33 per cent, the Middle East with 16 per cent and Asia Pacific with 13 per cent. In South America, the success of the Itajai shipyard in Brazil deserves a special mention, increasing its value of production by 24 per cent, with 36 yachts built, and bucking the trend reported by many European players who have decided to abandon the country. The Group has invested over €104 million over the last three-year period, of which €32 million in production capacity and the remaining €72 million in renewing the product range. In the upcoming three-year period (2019-2021), another €122 million will be invested, of which €28 million in production capacity and the remaining €94 million on the development of 10 Azimut Yachts and 7 Benetti models to renew the range. She added: “Benetti will continue to pursue its tradition of excellence, with a management team strengthened by professionals of proven management experience and skill and multiple unique projects in the pipeline.